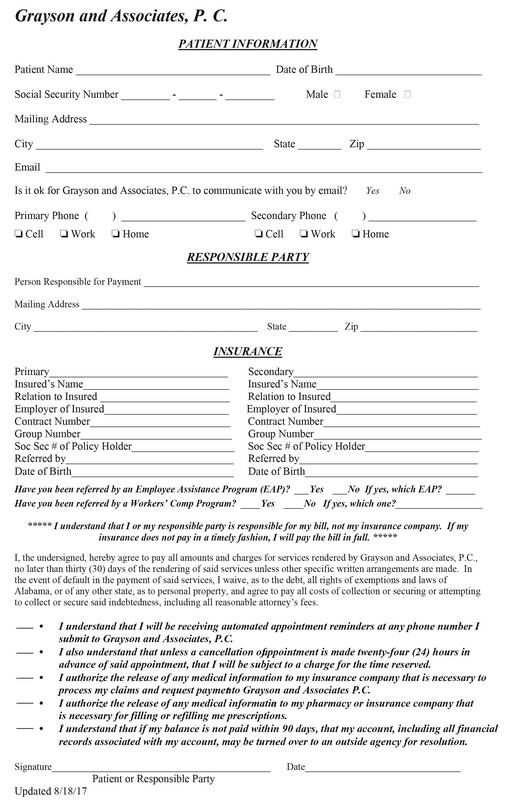 This form is required to start seeing a Grayson & Associates clinician. 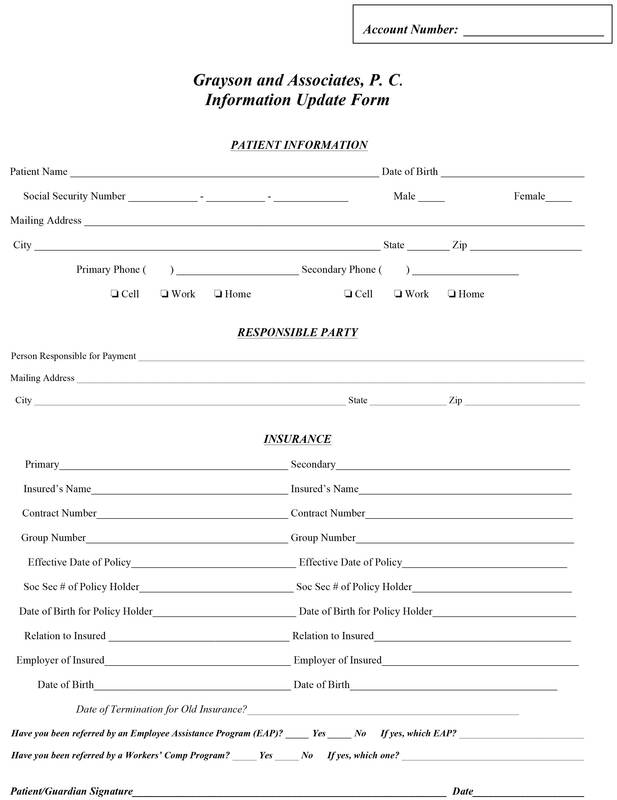 This form is required for updating patient information. 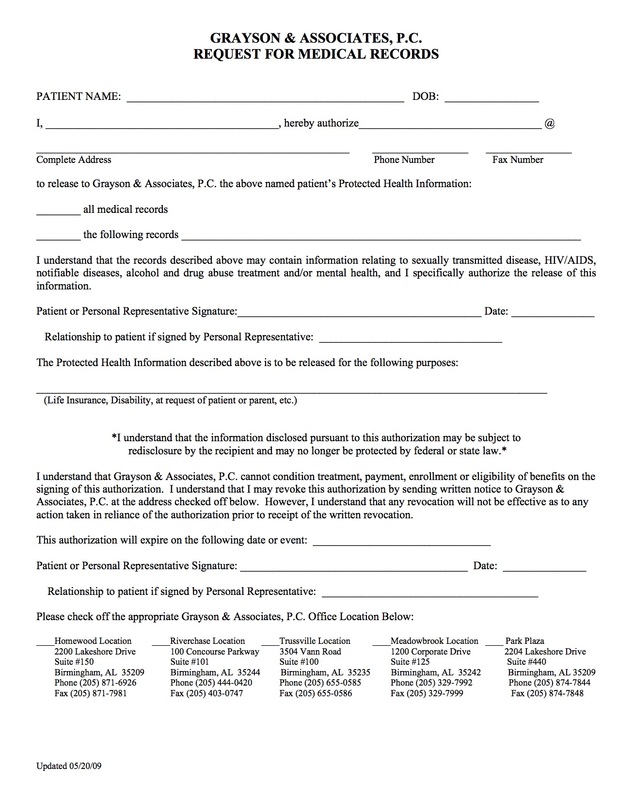 This form is used when you want past medical records from another doctor seen by a Grayson & Associates clinician. 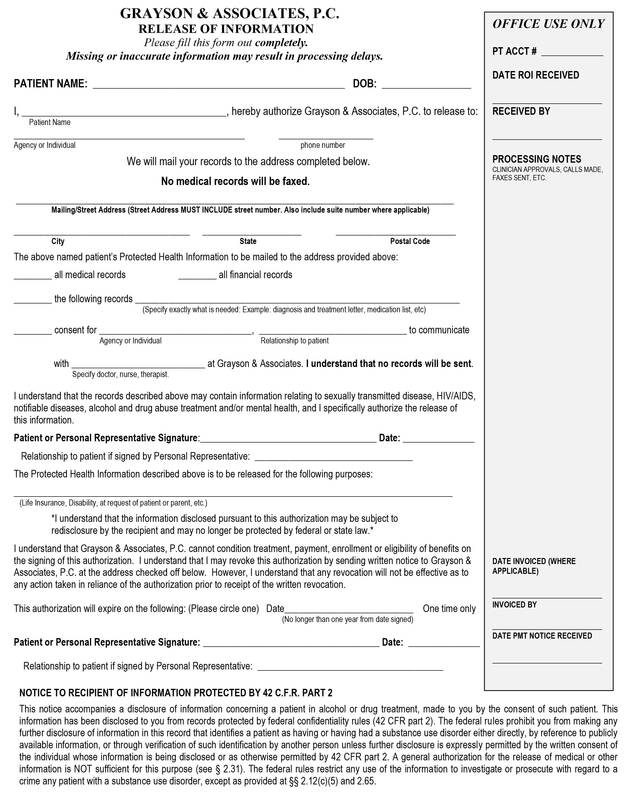 This form is required for sending any medical information from Grayson & Associates to another entity.